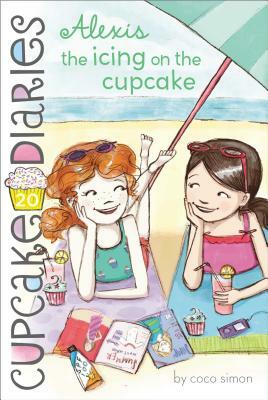 The Cupcake Club is thrilled to serve their sweets at a huge party—but can Alexis get over her growing pains before she sees her crush? Alexis is excited about the latest Cupcake Club job—it’s a huge order for a neighbor’s BBQ/pool party. Not only will the CC make a lot of money, but Matt—Alexis’s super crush—will be there! But when Alexis goes to the mall with her friends, suddenly nothing fits her. Clothes in her usual size are too short, but when she goes up a size, everything is too big. What’s going on? Can she find an outfit that makes her feel as awesome on the outside as she is on the inside?